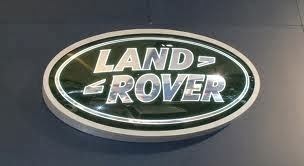 From 1948 until 1951 the Land Rover was only offered with an 80-inch wheelbase and a 1.6-litre petrol engine. So basic was it that tops for the doors and a roof (canvas or metal) were optional extras. In 1950, the lights moved from a position behind the grille to protruding through the grille. The engine was increased to a more usable 2.0-litres in 1952, 1954 seeing big changes when the 80-inch chassis was replaced by an 86-inch version offering 25% more carrying capacity. Raf airfield lighting 1956 86" series 1 Land rover with military chassis plate, former military reg number 37aa85. Fitted with a rover 3500cc petrol engine on a Borg Warner 65 automatic gearbox. Been dry stored until 6 months ago It has had a full restoration, every nut and bolt on this car has been thoroughly gone through. No stone has been left unturned on this rebuild, I must say I have kept some of the character, these cars tell a story and a lot of these are over restored with kilos of filler, this is not one of those cars. New v5 present and registration number 998UYO. This is mot exempt and Tax exempt. New stainless fuel tank, new custom Long life custom exhaust (lifetime guaranteed) Facet fuel pump, Edelbrock 500cfm carb, Mallory coil and Mallory Unilite electronic distributor, 4 new tyres, full professional re-wire, Reconditioned steering box, full professional re-spray, inside outside, underneath, wheels etc. I have took the Series One on a 10 mile drive today and it drives perfect, any trial is more than welcome with proof of insurance. I have taken quite a number of photos of the restoration these, are in a album to stay with the Land Rover along with the all the original paperwork that comes with it. These Series ones are going up rapidly in value and this car represents a rock solid investment for any perspective purchaser, that’s also a usable car that can stay with more modern traffic due to the engine/gearbox combination.